After a enjoyable stay in Motovun, we had to continue our way towards the west, even if we didn’t really feel like going back to our world so soon. 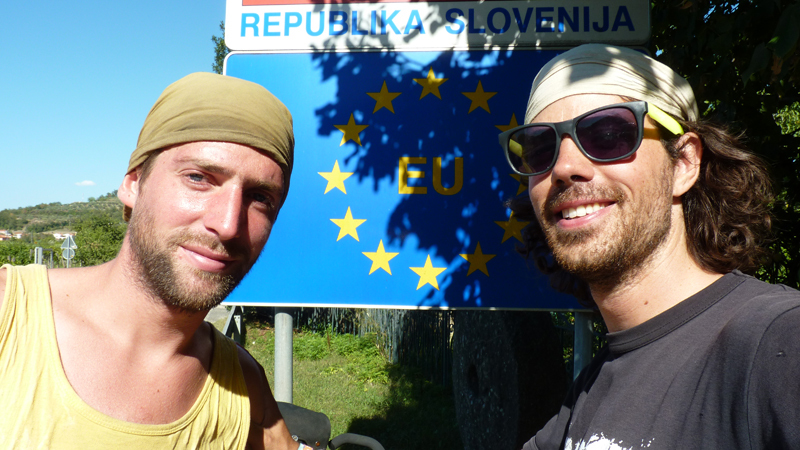 From Motovun, we cycled to Slovenia, then Italy, on the same day. 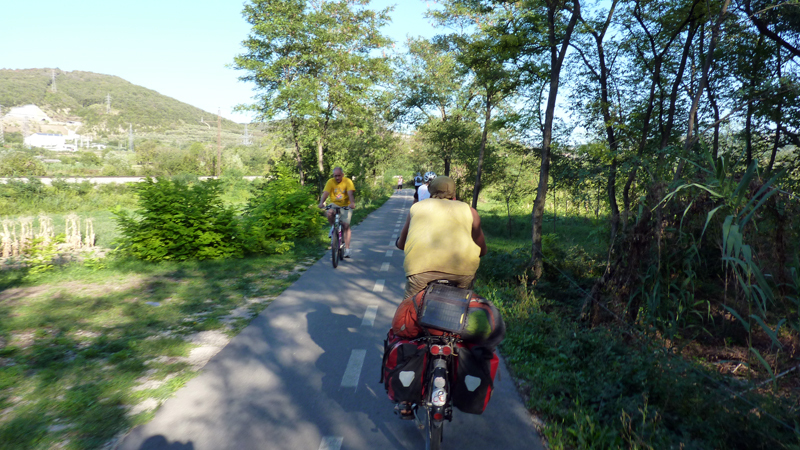 In Slovenia, we had the pleasure to meet cycling paths again, a luxury that does not exist in many countries, and we entered Italy through one of them -without going through customs!-. 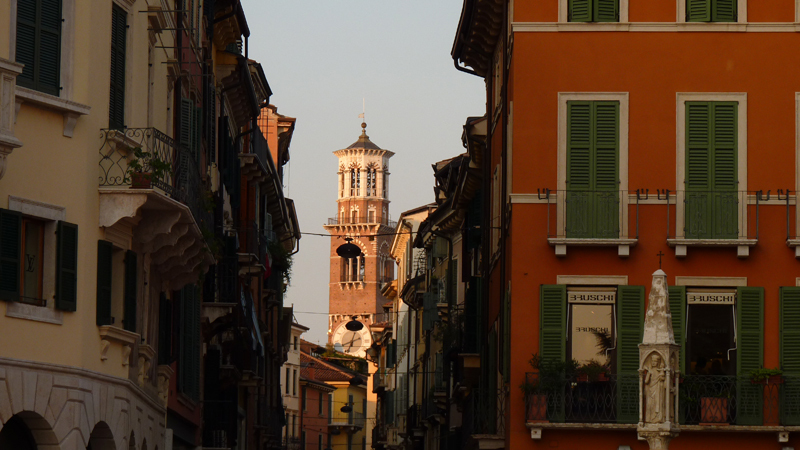 The first big city we would cross in the west was Trieste, an industrial town in the north of Italy. Our first impressions were weird : homeless people in the streets, busy teenagers checking their smartphones, messy graffitis on the walls, busy traffic, expensive coffees, and many people who did not seem too happy to live. 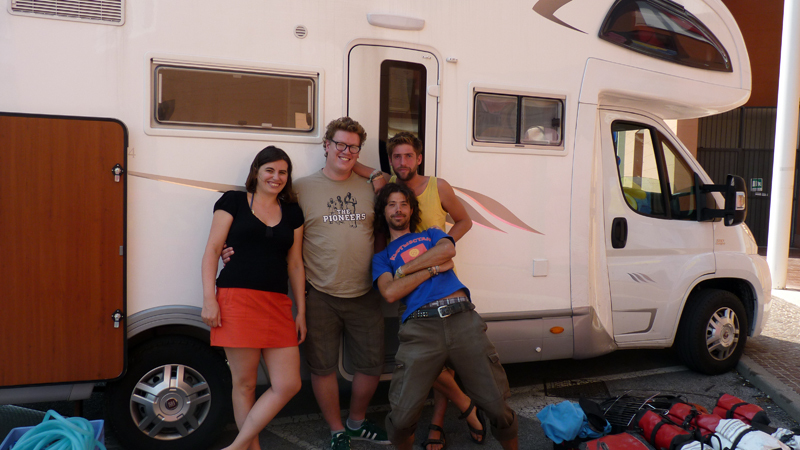 Anyway, we didn’t stay long in Trieste, as we had a meeting with our old friend Brieuc, travelling in a camper with his girlfriend Georgia. 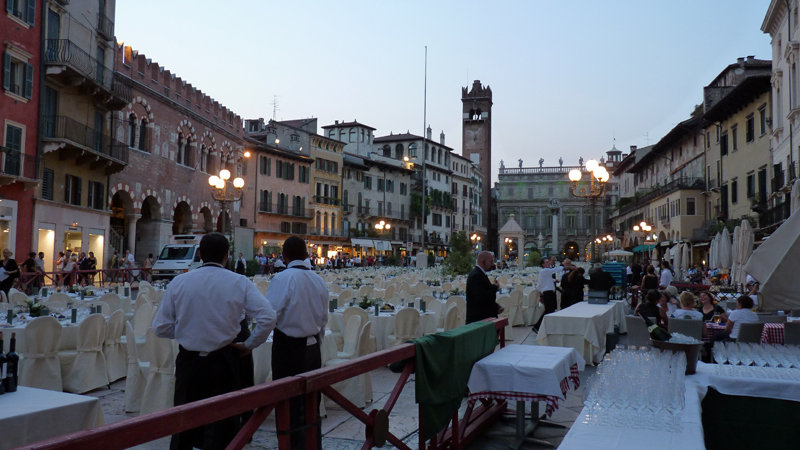 After a night in a touristic, tasteless camping together with the couple and a polish cyclist we caught on the road, we put our bikes in the camper and went for a 200 km ride west, and we got back on our bikes in the beautiful area of Verona. 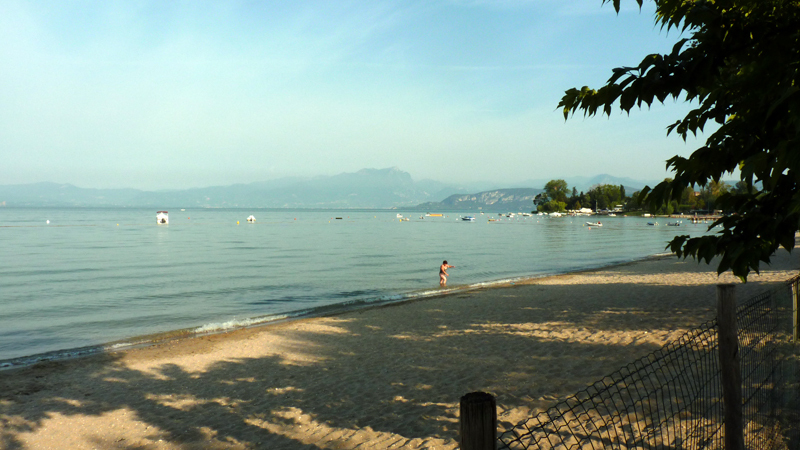 We decided to cycle until Lago di Garda and camp there, unaware of what was Lago di Garda about. Arrived on the coast, it was full of campings, and full of germans…we didn’t find the wild beaches we were looking after. Every square meter of beach belongs to someone, and it is forbidden to stay on the beach after midnight. The security guards told us wild camping wasn’t an option there, and that we’d have to find a spot in an official camping site, which we did. At least, we got electricity plugs, and neighbours interested in our story. Last but not least, we had the privilege to go to the aquagym lesson in the morning. What a wonderful world! Aquagym in the morning makes you ride until the evening!